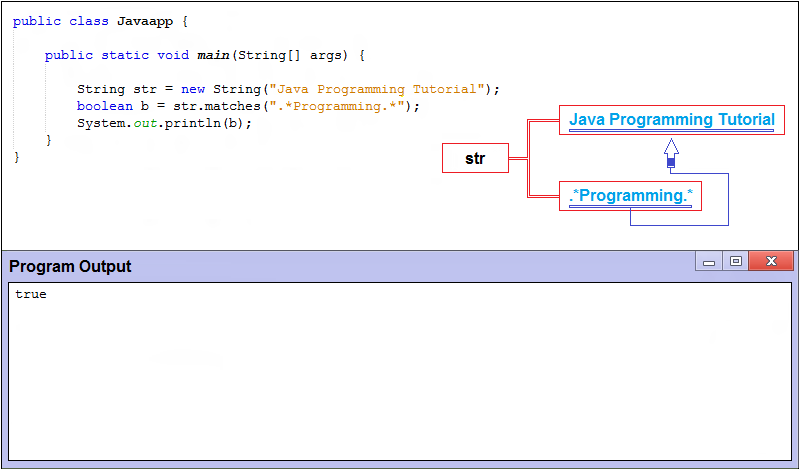 If all you want to do with a regular expression is check to see whether a string matches a pattern, you can use the matches( ) method of the String class. This method accepts a regular expression as a parameter and returns a boolean that indicates whether or not the string matches the pattern. You can also use the split method to split a string into an array of String objects based on delimiters that match a regular expression. 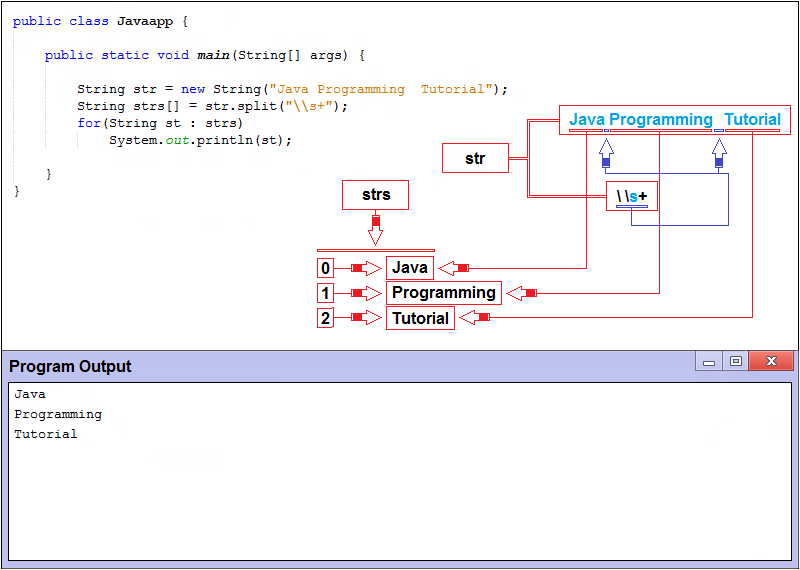 For example, in the following program, a string is split into three words marked by spaces.